How many phone numbers can you recite off the top of your head? Do you know your partner’s number? Can you recall your office line? What about your child’s cell? In short, they don’t have to remember as much. And you know what? I’m willing to bet that the number is even higher today. Now, I’m certainly part of that 91% of people, so I’m not here to stand soapbox box and preach the importance of memorizing phone numbers. I do think, however, that it’s important to have emergency contacts both stored in your cell phone and written down on a physical piece of paper. That way, should you require these numbers in an emergency, you can quickly reach the specific person you need. 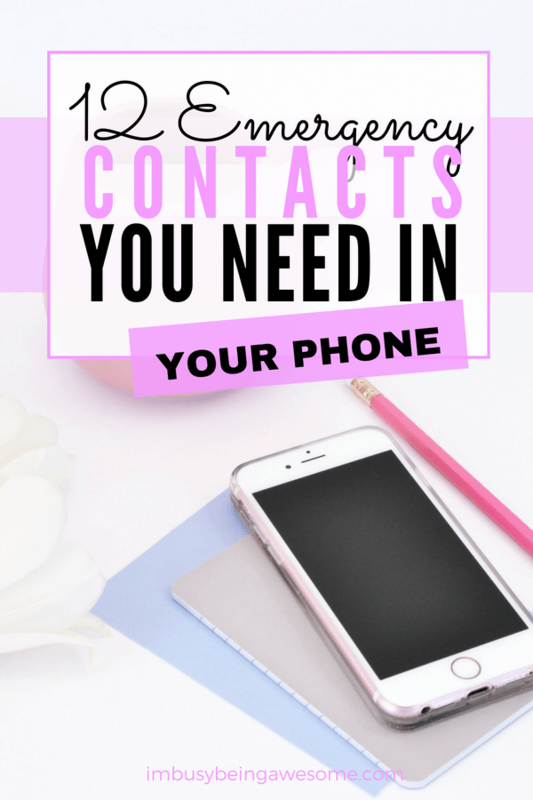 Then check out my emergency contacts list below and download this printable emergency contacts list to hang on your refrigerator, keep in your purse, or stick by your desk. You can rest easy knowing you’re prepared. So for example, my husband Ryan’s number reads, “ICE Ryan” and my parents numbers read, “ICE Mom” and “ICE Dad” etc. Using ICE before the name tells first responders (police officers, firefighters, hospital workers etc.) whom to contact in case of an emergency. Did you forget to close the garage door? Do you need a quick hand with something? Having a trusted neighbor on speed dial can come in handy in many different circumstances. Swap numbers with each other and you’ll be set. You can extend this list to any important people in your life, of course. The key takeaway is knowing how to get ahold of these individuals if they don’t have a cell phone with them. Of course, we all know to dial 911 in case of an emergency. But there are other times when you might need to contact the non-emergency line. 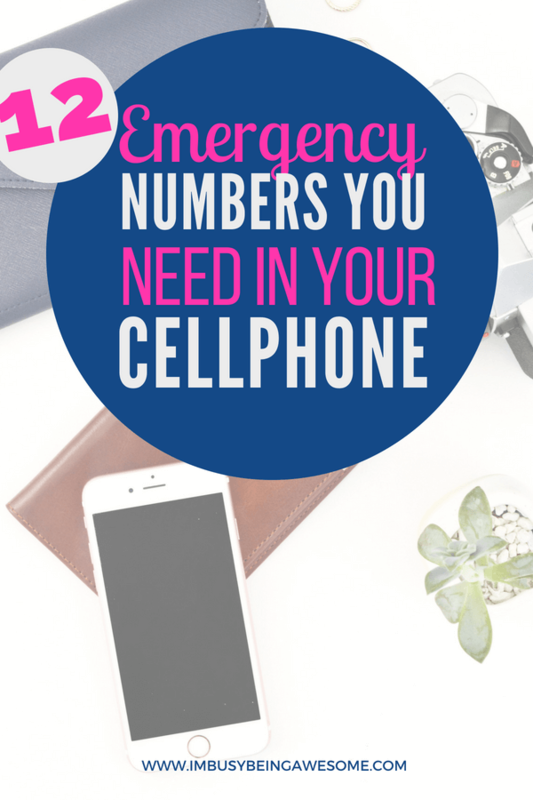 Save yourself some time and store these numbers in your phone as well. When you’re feeling sick, or you have a toothache, the last thing you want to do is search for a phone number online. Save yourself the time and the unnecessary hassle and store the information in your phone. Whether you’re facing a power outage or you’re worried about a gas leak, you’ll want to have your power company available at the touch of a button. While you hopefully won’t need to contact them, it’s always helpful to have 24 hour emergency plumbers and electricians on hand; unless you’re professionally trained, water and electric are two things that you don’t want to DIY. Stay safe and call in the pros. Did you see a wounded animal on the side of the road? Is there a dog wandering around without a collar? Give animal control a call so they can get the animal to safety. This is especially key if you have children in the house. The national poison control helpline is (800) 222-1222. They’re open 24/7. Accidents happen; have your insurance company ready to call just in case. Trust me; you’ll be happy you have the number when you need it. There you have it! 12 emergency contacts you need in your phone. Do yourself a favor: program this information into your contacts, and write them down on this emergency list. I promise; the next time you need the information, you’ll be so happy you did. Do you have an organized emergency contact list? 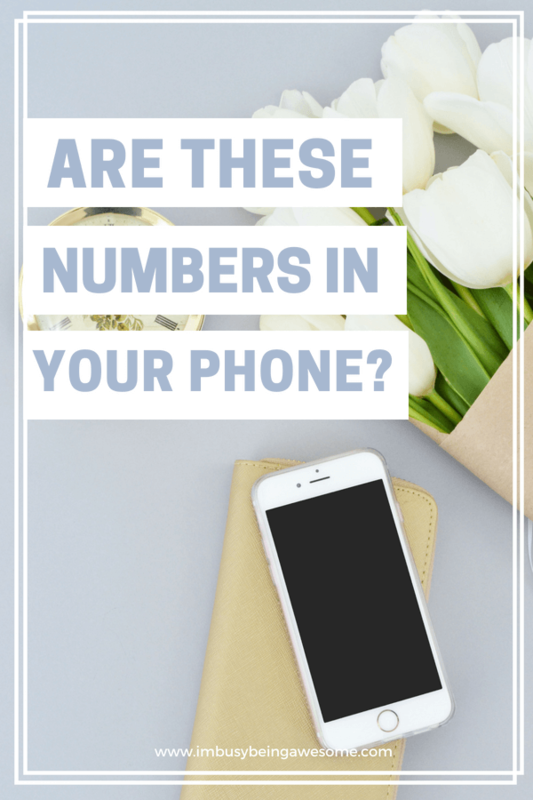 Do you keep these twelve numbers in your phone? What other numbers would you add to the list? Let me know below! Great list! I forgot all about the ICE program and will be updating my cellphone ASAP! This is an excellent list. I definitely need to add things like the police and fire dept to my phone. Unfortunately in the US ICE means something completely different. Might need to use a diff anagram for it. LOL! This is a great idea – it is so important to be prepared. A lot of us consider phones such a valuable tool and don’t use the features to the fullest. It helps with stress to be prepared! This is such an important list. Updating my phone as we speak! Hooray! I’m so glad to hear it 🙂 Thanks, Amanda.